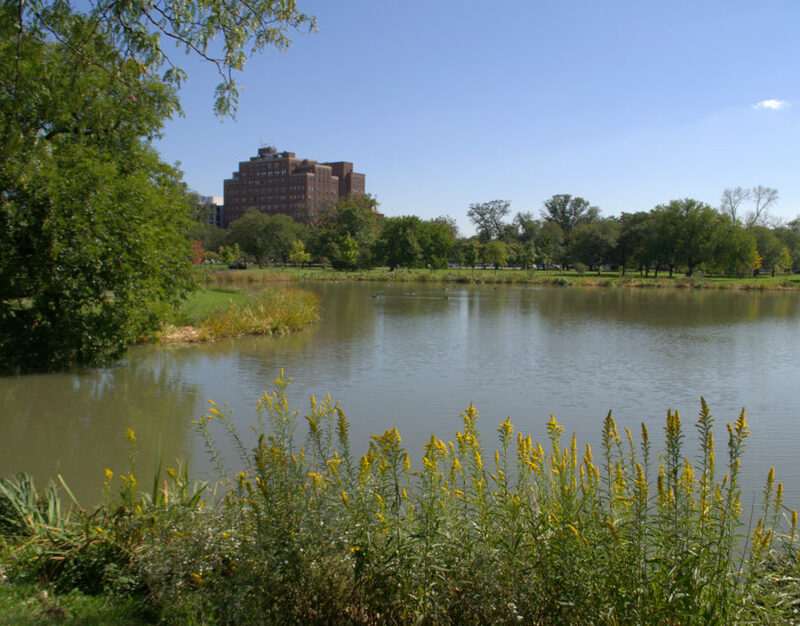 Douglas Park is one of Chicago’s most scenic city parks in the heart of the west side of Chicago. Spread across 174 acres in the North Lawndale community area, it is located between West Roosevelt Road and West 19th Street to the north and south (respectively), and South California Avenue and South Albany Avenue to the east and west. 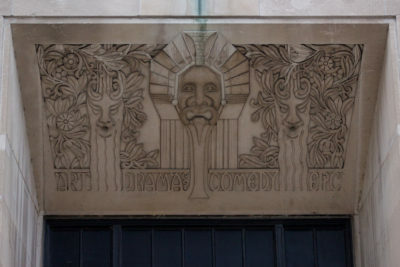 Established in 1869 as the southern park of the West Park System, along with Humboldt (formerly “North”) and Garfield (formerly “Central”) Parks, the park exhibits the design talents of multiple renowned architects including William LeBaron Jenney, Oscar F. Dubuis, and Jens Jensen, along with locally-notable designers Michaelsen & Rognstad. 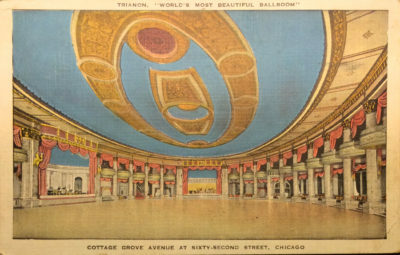 Many changes have occurred in its physical landscape and within the social fabric surrounding the park, but the park remains an important historic landmark in the city of Chicago. 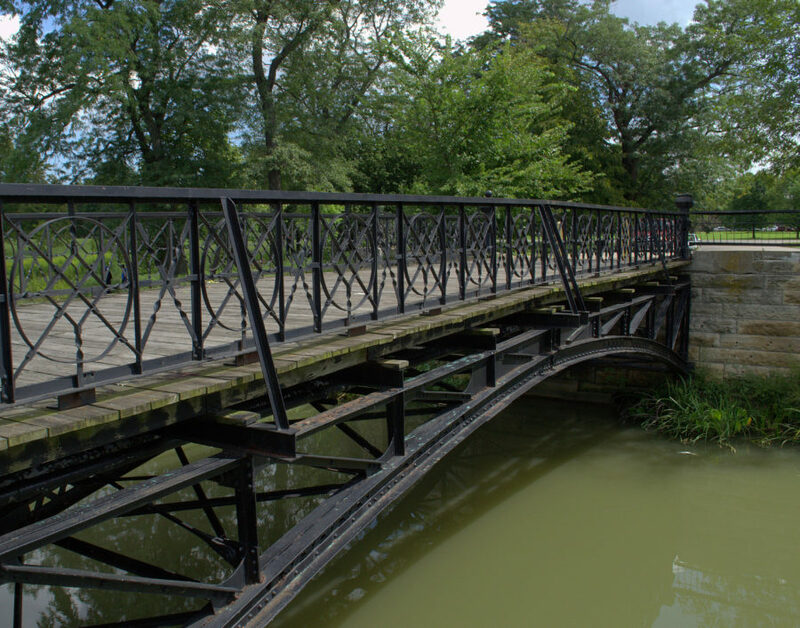 This article examines a specific and perhaps overlooked feature of Douglas Park: its nearly 120-year old stone footbridges and an extraordinary wood-planked carriage bridge. 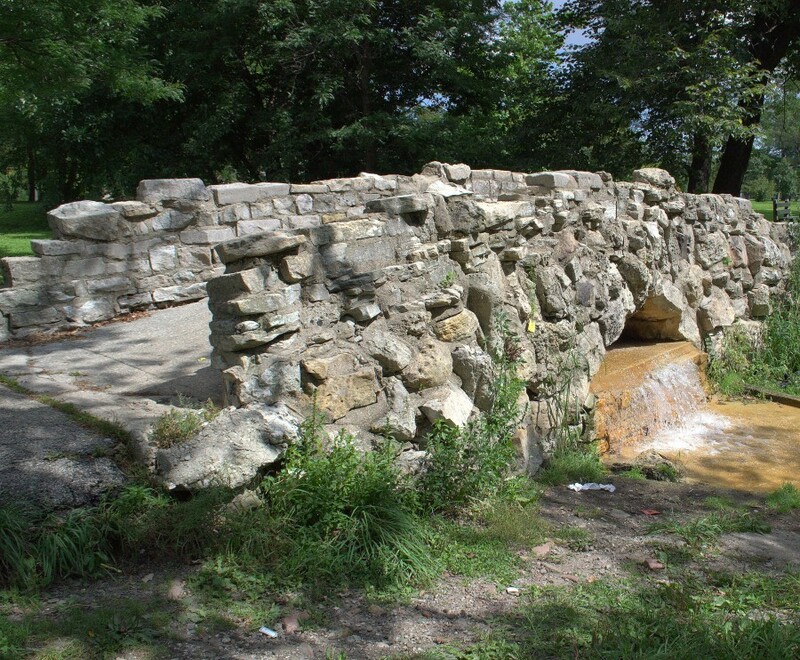 This footbridge was originally constructed in 1897, and is composed of small granite boulders in shades of grey and tan. 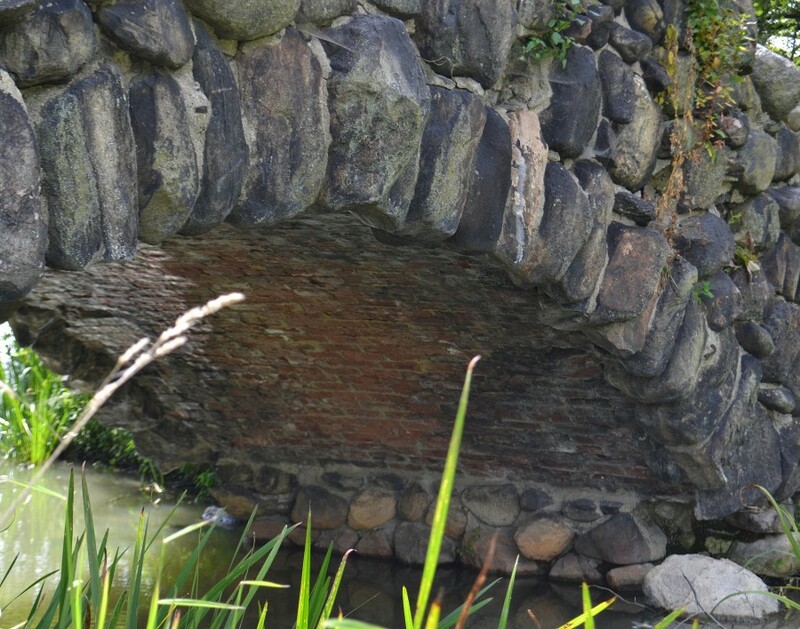 At some point in time the underside was bricked in, as seen in the detail photographs below, but the bridge remains in remarkable condition. It still crosses over water in the northeastern area of the Douglas Park lagoon. 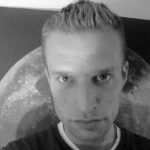 Regarding the neighboring park drives, Farrar Drive, which encircles the northeastern portion of Douglas Park, was named for Edwin Farrar, who was a commissioner of the West Park District from 1923 until he died on November 29, 1925. 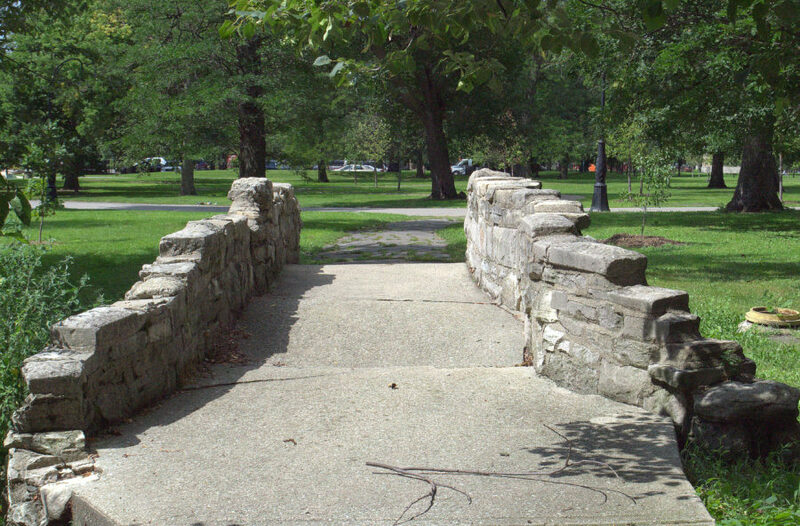 Thompson Drive, which bisects the northern area of the park from north to south, was named for Harvey Thompson, a commissioner of the West Park District from 1882 to 1893. 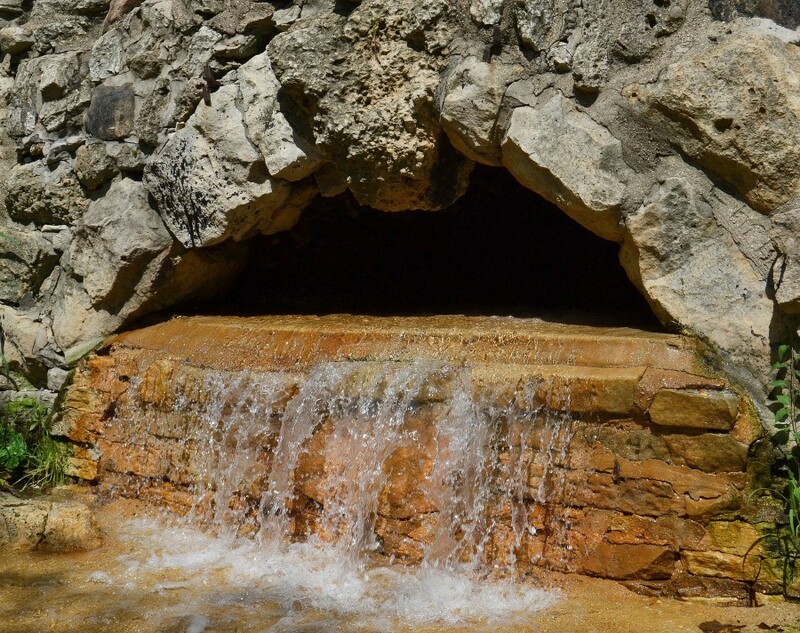 Location: approximately 1240 South / 2940 West, east of Thompson Drive, south of Farrar Drive. 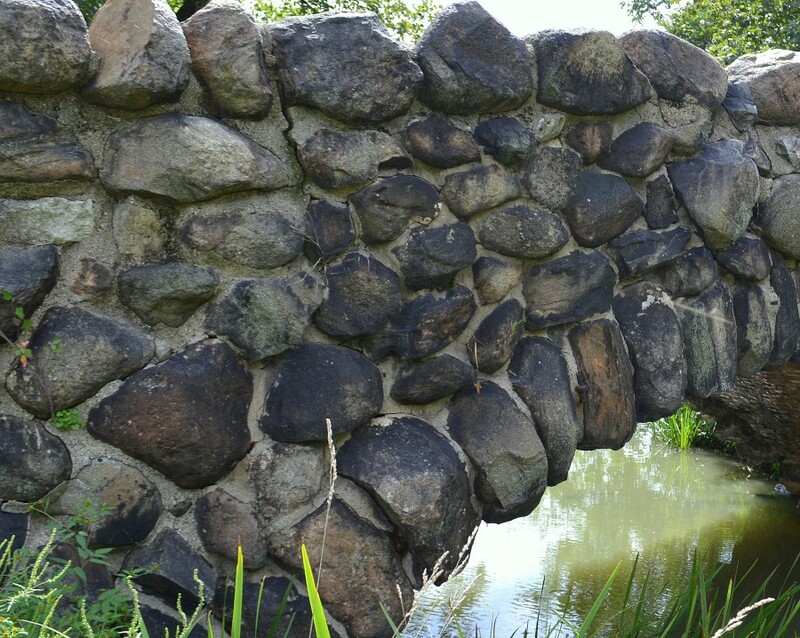 This footbridge is constructed of cut limestone blocks in a quaint rustic pattern, and used to cross the northwestern tip of the lagoon but this portion was filled in at some point. 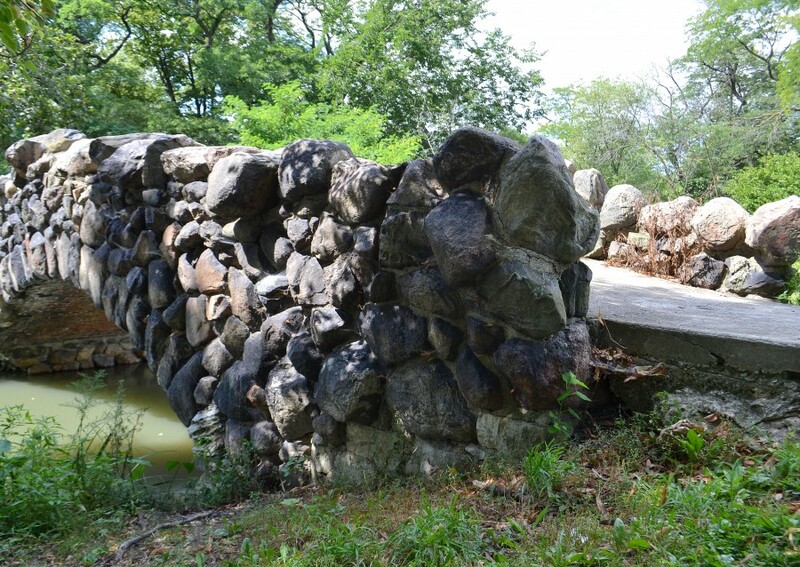 The concrete walkway spanning the bridge and leading west to Thompson Drive is at a pronounced sharper grade than the granite boulder footbridge, and shows some cracking and signs of disrepair. 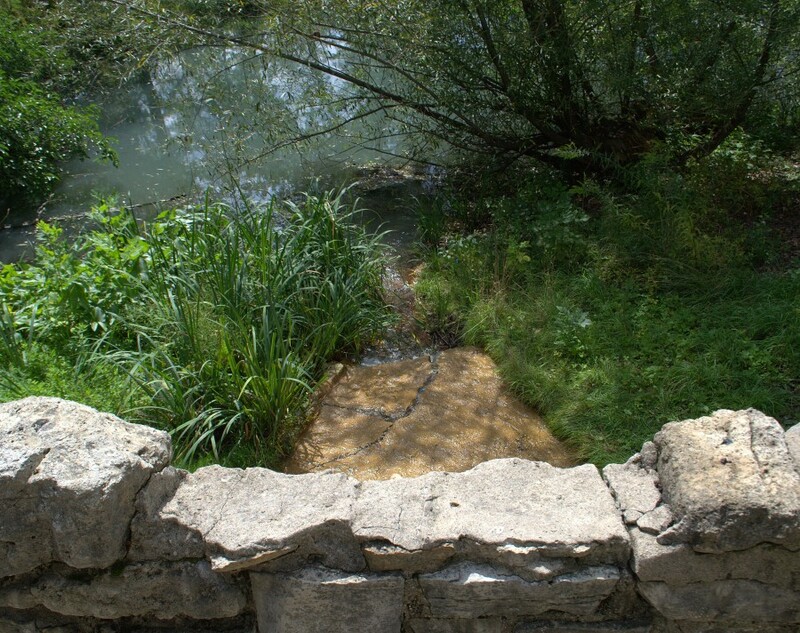 A small waterfall which supplies the lagoon is prominent on the southern side of the bridge. 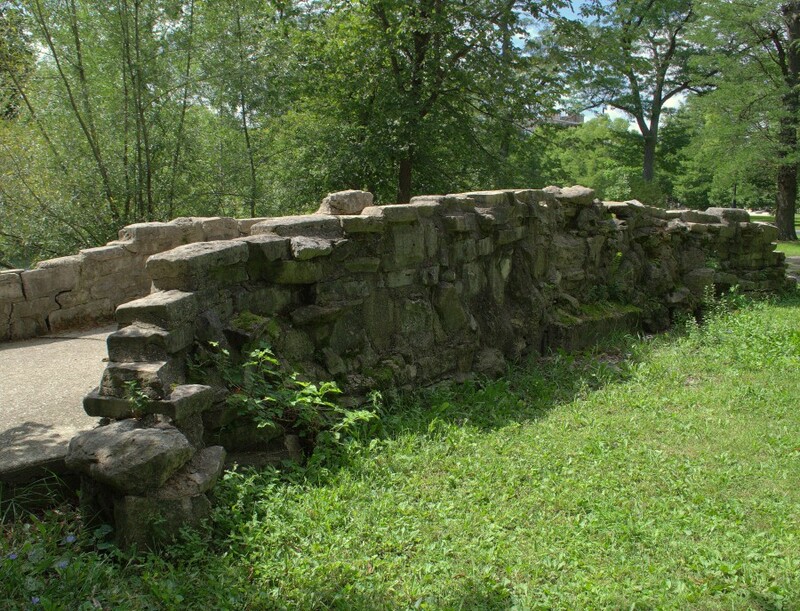 The northern side of the footbridge is covered in moss and mildew, and shows the weathering effects from decades of aging. 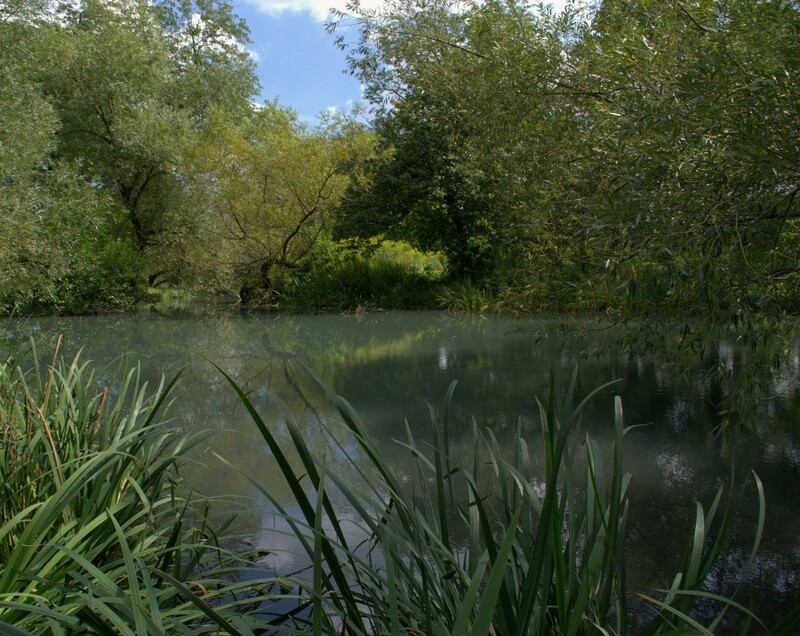 Above is the northeast view of the Douglas Park lagoon near the limestone footbridge. 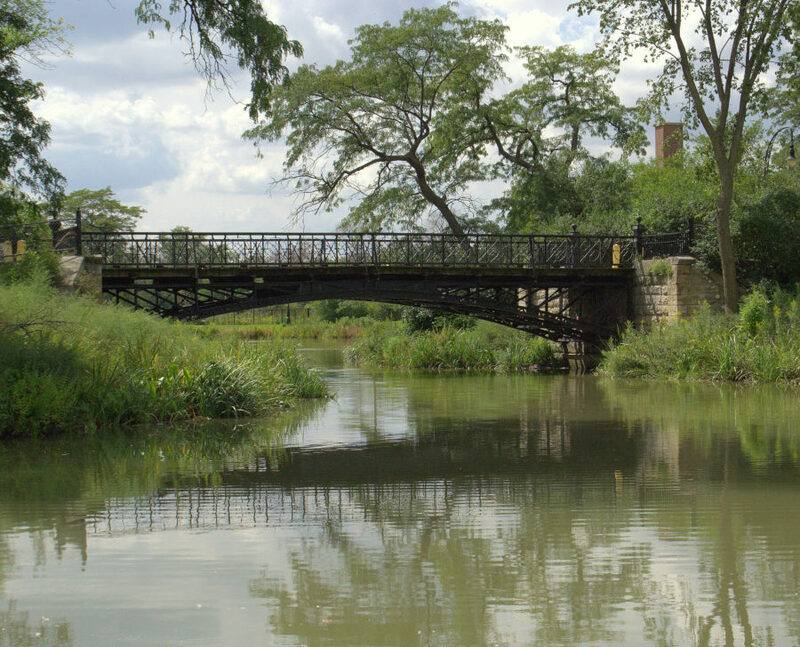 The carriage bridge is where Burkhardt Drive, which transects Douglas Park and connects Farrar and Thompson Drives, crosses the lagoon. Burkhardt Drive was named for Henry Burkhardt, a commissioner of the West Park District from 1884 to 1891. 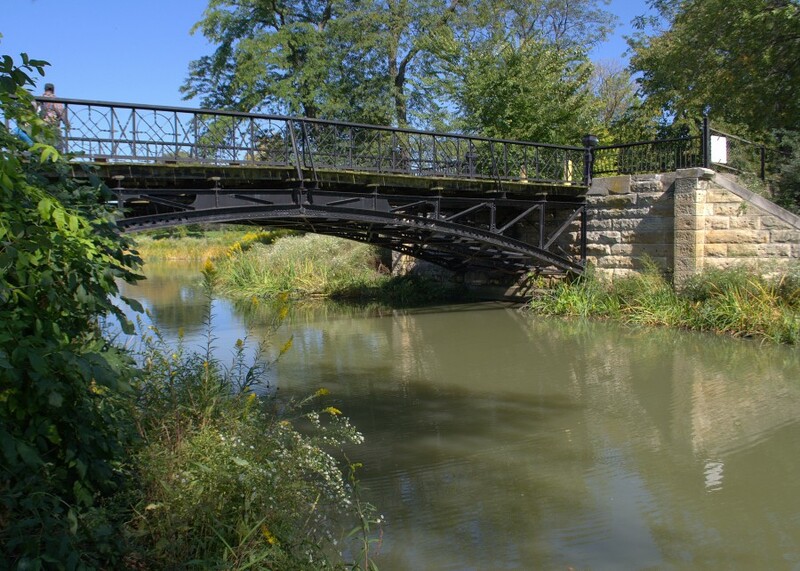 This picturesque bridge has beautifully-finished abutments of cut limestone with an open arched iron spandrel. The walkway is planked with untreated wood decking and bordered by an ornamental iron handrail made of circular and geometric patterns. 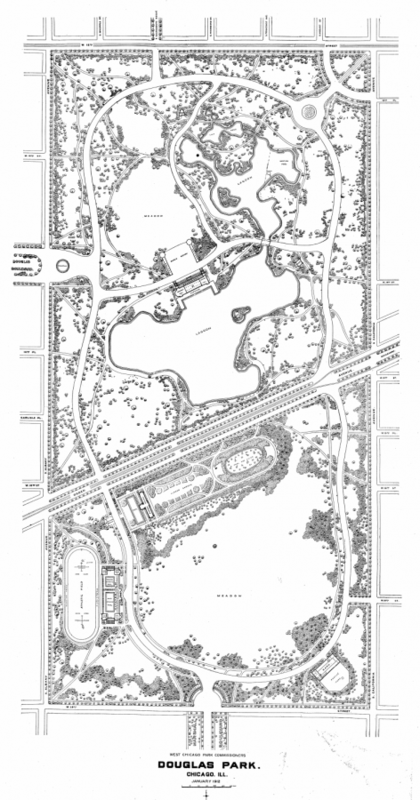 As the name implies, it was originally used for horse carriages to cross the Douglas Park lagoon. 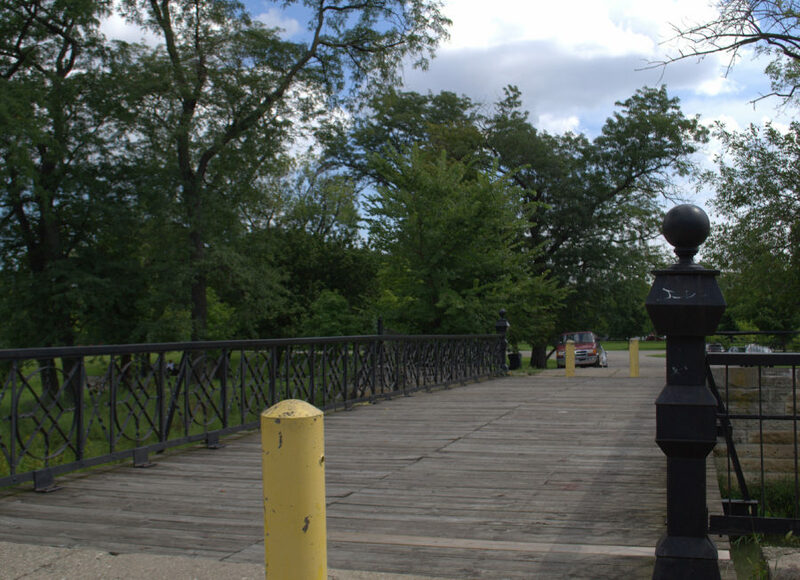 It now has 3-foot high concrete bollards in place at both ends of the bridge to allow for pedestrian use, but prevent vehicular traffic on Burkhardt Drive from crossing over the lagoon. 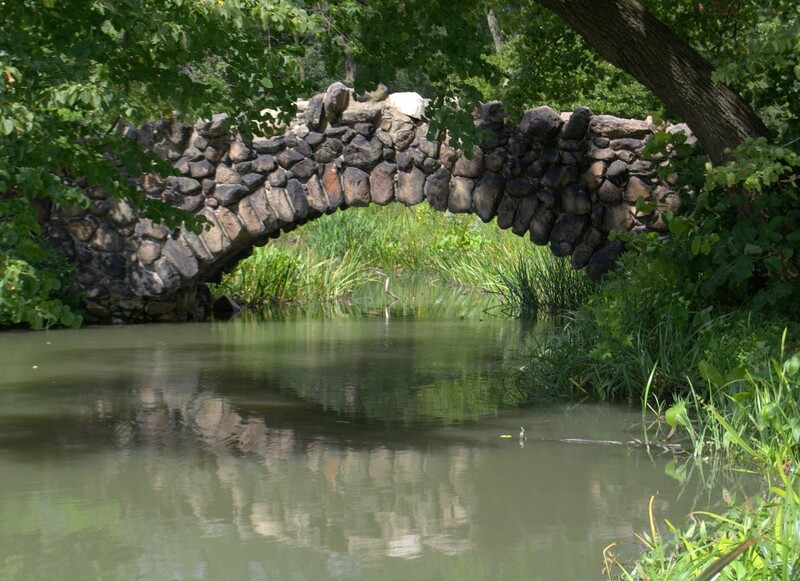 While much of the original infrastructure and landscape design of Douglas Park has been modified or eliminated, these bridges have stood strong, as a kind of evidence of the original planners’ artistic vision and sensitivity to nature. 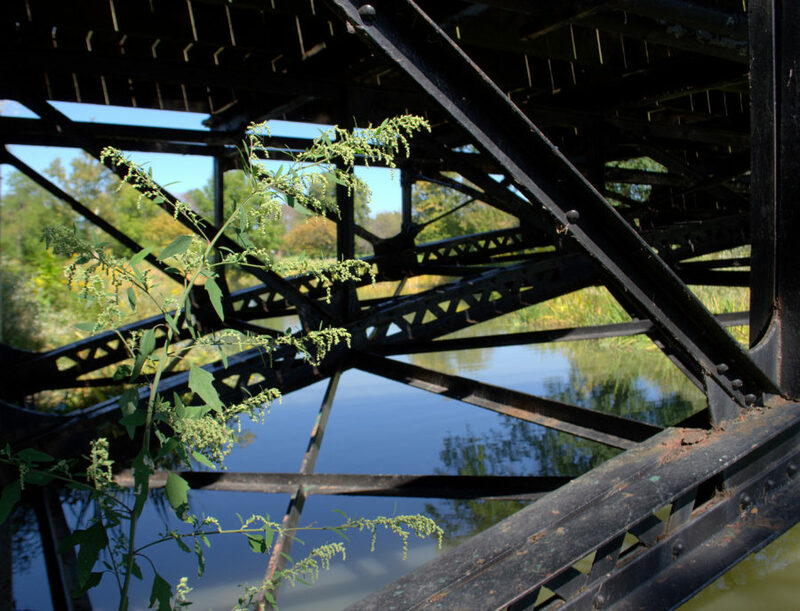 With proper care and maintenance from the Chicago Park District and the City of Chicago, these bridges may hopefully last another 100 years for future generations of nature lovers to admire and enjoy.